For most affiliate sites, your conversion rate, as much as or even more than your traffic numbers, determines your level of success. If that’s the case, then why do many site owner’s conversion rates not meet goals? In many cases, site owners are simply not focusing on the right things or emphasizing certain tricks just a bit too much. There have been many strategies and guides on how to get every possible conversion out of your website, but many of them are niche dependent or quickly outdated. Here, we want to focus on the everlasting principles of affiliate conversions, so that you can only build from there and start with a plan that has the fundamentals right. 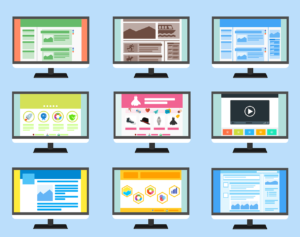 If you’re running an affiliate site, you don’t need ads and too many popups on your site. They’re usually going to be counterproductive and the money you could be making from additional affiliate conversions easily overshadows ad revenue. If you’re including these items, too many links to other pages (including irrelevant one on your site), and other offers on your affiliate pages, you’re only serving to distract the already easily distracted reader, who might very easily forget about your main selling point and never come back. If you have created a great copy, have faith in it! If you’re unsure on what to remove, ask yourself “Is this informing the readers about the opportunity or guiding them towards a conversion point?” about each item on your page. If it doesn’t help, remove it. If this leaves your page a little sparse, consider what valuable content could be added, but don’t underestimate the power of well-used empty space on the page. Ideally, you shouldn’t be having readers check other pages for information. Everything they might want to know should be answered on your page, easily findable using subheadings and FAQs sections (when applicable). Once people have all the information they need, they’re more likely to make a decision, and thus a purchase through your site. This doesn’t have to be a perfect science. Study other pages and keep your comments section open. If you get questions often, add them to your main article with the answers. Your conversion pages should be adaptive things, especially considering how products (and the markets around them) change frequently. On a related note, your conversion pages and your website as a whole should show that you are an expert and can provide the very best advice and recommendations for whatever problem or problems the reader is currently trying to solve. If you can solve their problem, and your conversion opportunity is part of the solution, your conversion rate will skyrocket. If you can get the reader to trust your content, they’ll believe you have the answer as opposed to the half a dozen other pages they might be looking at. It’s an extraordinarily competitive space, and you need to be better than the competition, especially if you’re still climbing the page rankings. It comes down to a couple of fundamental questions: Why should the findings of your site or your opinion have any value? What makes your site so special? Make sure you have statistics or well-reasoned arguments to back up your recommendations. Address doubts ahead of time and tackles criticisms, even if they make what you are trying to sell shine a little bit less. Cover every aspect, even things the reader won’t know they’re interested in at the start. Always continue to strive towards excellence. Anyone can write a product or review without doing much work outside of looking at other reviews. It’s a few hours of work at most, and it will usually result in a conversion page that looks like dozens of others. What can make your page stand out on top of the research you put into your writing is providing evidence that you have used the product or the service for yourself and can recommend the product based on personal experience. Including a video demonstrating a product or service in use, either demonstrating strengths and weaknesses or as a product tutorial. Close-up pictures of products are always a great touch, especially if they are well-done but not mistakable for professional marketing photos. Screenshots, perhaps with annotation, can be useful for making points about an online service. 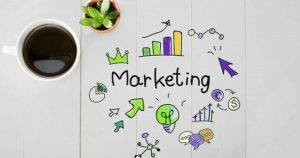 There are additional methods, of course, but the main takeaway is you want to show your readers that you have personally handled the products and that your writing is based on real experiences. Even if you do happen to be a master of all trades or products, your readership might not believe you. It is best, at least when you’re starting out, to only focus on a single (or perhaps two) niche of products or services. You won’t be limiting yourself, and the goal for affiliate conversions is not to get the most traffic by reaching out to as many potential readers as possible. You want the readers who you’re trying to reach, and everyone else is a bonus. Spreading yourself too thin will also likely show itself in your content. You can learn the basics about some products in a short amount of time, but the mastery necessary to truly boost your conversion rate comes from steady focus and interlinked reviews and articles. Even if you think you can do it all, your competitors who are focusing on one niche will likely have you beat (at least when using the same amount of resources) every time. To summarize, we find that a focused effort that appeals to your core audience will generally have the best level of success, using content and pages that are free from distractions and provide every bit of information a potential reader and buyer would want. It might be a slow process at first, but we recommend starting to make changes to some of your higher-ranking pages and seeing the results pour in. Kevin Conner is an entrepreneur who has launched and runs many successful web-based businesses. Most recently he and a small team have launched broadbandsearch.net, a home broadband and TV services search engine. 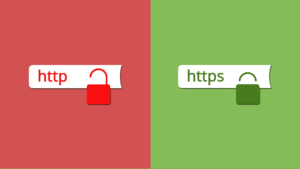 Why Should You Switch From HTTP To HTTPS For Better Ranking?